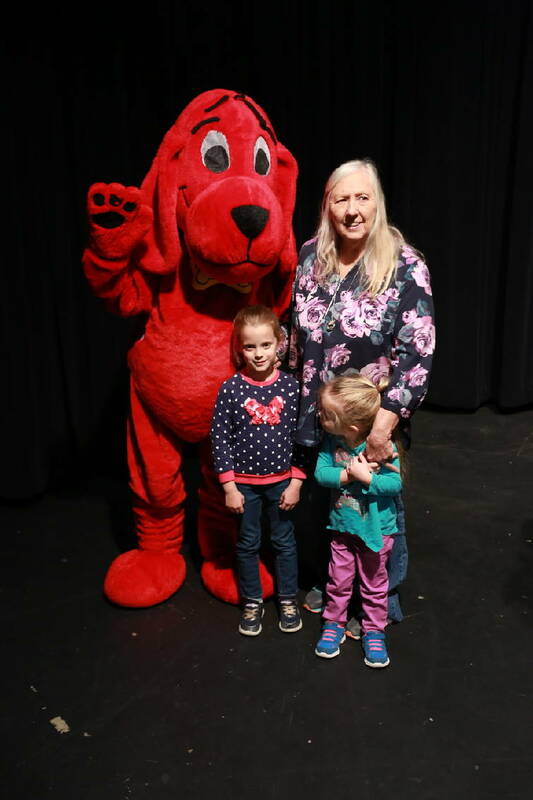 Clifford the big red dog will be on hand Sunday afternoon to greet young WTCI viewers attending Family Day. Children of all ages are invited to check out a Chattanooga Fire Department fire engine, enjoy treats from McKee Bakery, face painting, games and activities when WTCI holds its annual Family Day at the PBS station, 7540 Bonnyshire Drive. Family Day will take place Sunday, Nov. 11, from 1 to 4 p.m.
Photo-ops with favorite PBS characters such as Clifford, Curious George and Super Why will be offered. Kids can learn more about free PBS Kids games, apps and resources, take part in green-screen activities and music. Guests are encouraged to bring a gently used book to benefit Hamilton County Department of Education schools and a canned good or new pair of socks for donation to the Chattanooga Community Kitchen. The Cleveland Storytelling Guild will entertain children, and their parents will have access to information from the PBS station's community partners: the Creative Discovery Museum, Mathnasium, Chattanooga Allergy Clinic, Belvoir Christian Academy, Crabtree Farms, United Way of Greater Chattanooga Project Ready for School, St. Nicholas School, Our House Studios and Trans4med Leadership. Quilts of Valor Foundation will present quilts to Sgt. David Fuqua of the Army National Guard and retired U.S. Navy Cmdr. Don Jernigan, a member of WTCI's Community Advisory Board. All guests may enter a drawing for a free family pack of tickets to Wild Kratts Live on March 2 at Memorial Auditorium. "Our team looks forward to hosting this event each year because it is an opportunity for WTCI to share the many free PBS resources that are available on-air and online with families who can use them to support success in school and life," says Paul Grove, WTCI chief executive officer and president.